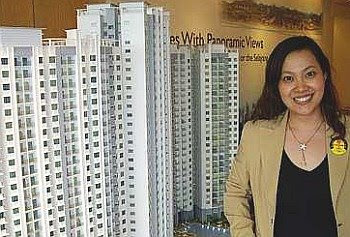 Chan Ai Cheng with a model of Symphony Heights. HUA YANG Bhd may be a medium-sized property development company but it is generous when it comes to pampering its purchasers. This is evident with its latest project, the Symphony Heights serviced apartment in Selayang. It is offering six practical layouts, quality finishes and condominium facilities such as free-form swimming pool, poolside cafeteria, gymnasium and multi-purpose hall from only RM135,200. S.K. Brothers Realty (M) Sdn Bhd general manager Chan Ai Cheng said the project had attracted more than 600 registrants, and close to 50 units had been booked just through soft selling and word of mouth. “We expect good take-up in view of the attractive price and fantastic location after marketing begins shortly,” she said, adding that the preview launch would be July 6 to 8. S.K. Brothers is the exclusive agent for Symphony Heights that is located off the Batu Caves roundabout, at the Middle Ring Road 2 (MRR2) and Jalan Ipoh interchange. The leasehold project, with a gross development value of about RM160mil, comprises 946 units of serviced apartment in three blocks of 29, 30, and 33 storeys. Phase 1 layout will include units of 863 sq ft (two bedrooms), 879 sq ft, 950 sq ft (three bedrooms) and 1,246 sq ft (3+1 bedrooms). 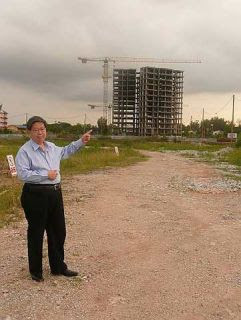 Chan said Symphony Heights was easily accessible to the Kuala Lumpur city centre and other parts of the Klang Valley via Jalan Ipoh and MRR2 connecting to the Damansara-Puchong Highway, Karak Highway, New Klang Valley Expressway, Elevated Highway, North-South Expressway, and Kuala Lumpur-Shah Alam Expressway. “It is within an established neighbourhood with plenty of amenities such as hypermarkets, shopping centres, hospitals, schools, banks and entertainment and good outlets,” she said. The project is next to the SRJK (C) Kheow Bin Batu Caves and is behind Hua Yang's earlier project, Medan Selayang (six and eight-storey shop offices) that was completed in 2005 and is almost sold out. “It's the best value-for-money property at Selayang's finest location,” said Chan, adding that residents of Symphony Heights could also enjoy panoramic views of the Kuala Lumpur city skyline and the Selayang/Templer Hills. Hua Yang chief operating officer Ho Wen Yan said there would be a 10% “early bird” discount, no legal fee charged for the sale and purchase agreement and RM500 down payment during the promotional period for the first launch of 544 units. “Symphony Heights is located in a fast-growing area with direct access to the MRR2. We have designed it to cater to end-users,” said Ho, adding that the Phase 1 units had a north-south orientation, modern contemporary design and are rectangular in shape, allowing maximum use of space. The price of a 1,246-sq-ft unit is about RM216,000 (before 10% rebate). S.K. Brothers chief executive officer Charlie Chan said people should buy a unit at Symphony Heights, as it is not even 10% of the price of some high-end condominiums in the city centre. “And yet, this project is so accessible to the city,” he said. Its other ongoing projects include Taman Pulai Indah in Johor as well as Bandar Universiti Sri Iskandar and Metro Pengkalan in Perak. 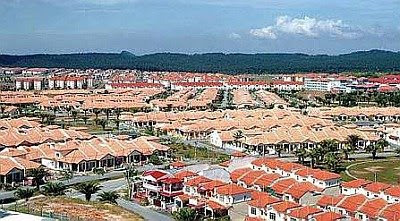 Most of its previous projects are in Perak involving terrace houses, shops and light industrial factories. Its Ipoh projects include those at Taman Mewah in Tambun; Taman Tasek Mewah, Taman Pinji Wani, Taman Pinji Seni, Anjung Bercham Megah and Anjung Bercham Elit in Bercham; and some projects in Batu Gajah. In Selangor, Hua Yang's completed projects include Taman Serdang Raya in Serdang, S.B. Jaya Industrial Park, Taman Setapak Jaya in Kuala Lumpur, and Jalan Connaught Bridge in Klang. A row of houses in Bukit Jelutong township. DEVELOPERS with projects in the northern corridor of the Klang Valley should take advantage of their sizeable land bank by adopting a holistic master plan approach in their development plans. As a number of big property and plantation groups such as Sime Darby Property Bhd, Kuala Lumpur Kepong Bhd (KLK), Asia Pacific Land Bhd (AP Land) and GuocoLand Bhd own large tracts of land in the corridor, it makes sense to have the projects planned well from the very beginning to ensure they grow into vibrant growth centres. Sime Darby Property has more than 8,000 acres of former plantation land in the corridor converted for property development. The land bank, located along the 25km Guthrie Corridor Expressway (GCE), has been demarcated for the various property development precincts – Bukit Jelutong, Denai Alam, Lagong Mas, Medan Elmina and Sungai Kapar. KLK has a land bank of 2,828ha, of which 92.9ha has been developed into Desa Coalfields mixed residential and commercial development of more than 2,600 units. Undertaken by KLK's property unit KL-Kepong Property Development Sdn Bhd, Desa Coalfields, located about 2km to the GCE, comprises 2,600 units of mixed residential and commercial properties worth a gross development value (GDV) of RM450mil. Since its launch in 2002, 1,400 property units with GDV of RM330mil have been completed and sold. KLK chief executive officer Datuk Seri Lee Oi Hian said to leverage on the company's large land bank in the corridor, plans were underway for KLK Property to emerge as a bigger player. “We are planning a 405ha integrated township opposite our existing project, Desa Coalfields in Sungai Buloh, and will launch it once the approvals are in place. We will maintain our tagline, KLK - Value Homes concept, which assures quality finishes and good value-for-money for our homes. “This is a step towards unlocking the value of about 2,828ha of plantation land in the vicinity which is envisaged to be developed step by step. This strategy of organic growth will contribute profits as well as enhance the value of our surrounding land bank,” Lee told StarBiz. The new development will comprise more than 6,000 residential and commercial units worth a total GDV of RM2.5bil. KLK Property general manager Lim Peng Hong said low-density projects, with emphasis on ample provision of green tracts and open areas to promote good communal integration and facilities, would do well. “In our next 405ha development, we plan to continue with the same strategy to offer spaciousness, good layout options, better finishes and, most importantly, affordable pricing to cater to the demand of a wider spectrum of the target market,” Lim said. Meanwhile, AP Land's Bandar Tasik Puteri is an integrated township development spanning over 2,670 acres in Rawang. Since the project kicked off in 1998, 1,000 acres have been developed. AP Land joint managing director Low Su Ming said Bandar Tasik Puteri was fast emerging as the urban regional centre of the North Klang Valley. In the past decade, the company has launched close to 10,000 property units with cumulative sales of RM1bil achieved to-date. The township now has a population of 45,000. According to Bandar Tasik Puteri's blueprint masterplan, 75% of the development will comprise the residential component, 15% commercial and the balance 10% for green lung, infrastructure and facilities. Low said instead of focusing merely on price competitiveness to drive sales, developers should adopt a longer term and more holistic vision of value adding to their townships. Besides offering attractive packages for house buyers, Low said, convenience, facilities and accessibility were primary considerations for even the most affordable group of buyers. “We are planning a combination of good supporting facilities such as schools, colleges, medical services, shopping convenience, communication services, road linkages and transport. “To enhance the quality of life for the residents, we are also beefing up the security and community events to promote healthy community living here,” she added. Meanwhile, the third nine holes at Tasik Puteri Golf & Country Club (TPGCC) have just been opened while the clubhouse extension and upgrade would be ready by the third quarter of this year. Low said the 27-hole championship course would boost the attractiveness of TPGCC as a popular destination for golfing and club facilities. In Rawang, GuocoLand's Emerald Rawang on 1,029 acres is also making waves and changing the property landscape in the northern corridor. The gated community development comprises terrace houses, semi-detached units, bungalows, town houses, shop offices and apartments with a GDV of RM1.5bil. 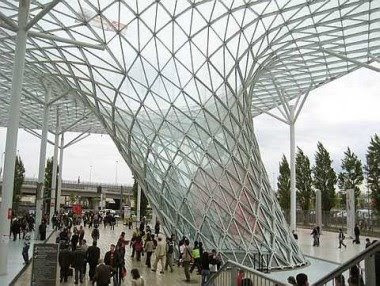 The project is scheduled for completion in 2012. Besides quality housing, trendy commercial projects will also make their debut in the corridor. Mainstay Development Sdn Bhd is planning a new retail development called space u8 in Bukit Jelutong that will be completed in early 2010. Chairman Raja Azmi Raja Razali said there was a need for a good lifestyle destination in Bukit Jelutong as residents now had to travel quite a distance for a “friendly” retail environment. “As residents' demographics change, the type of residential properties and commercial developments will grow to accommodate them. space u8 aims to meet the growing demand for a lifestyle destination in Shah Alam,” he said. With net lettable area of 574,647.52 sq ft, the project based on the shop unit, mall office (sumo) retail concept will have a covered courtyard of about 70,000 sq ft as its main attraction. SUNWAY City Bhd (SunCity) has established a strong brand since it started developing Bandar Sunway in Petaling Jaya in the early 1990s. Today, the group, listed on Bursa Malaysia main board, has spread its wings overseas as well as other parts of the Klang Valley, each time bringing with it a reputation of building quality and innovative homes. One may recall how popular The Ritz two-storey link houses in Bandar Sunway were when they were launched in 1990. Priced at RM153,888, The Ritz boasts a large master bedroom of almost 400 sq ft, so big that part of it occupies the top of the car porch! The master bedroom has a large attached bathroom with a long bath. It also introduced a unique “super link” for its Bandar Sunway Semenyih in 2002. Although not an actual super link house in the true sense of the word as the built-up area is only about 1,600 sq ft, it has an extra-wide frontage but only a length of 51ft. The group was also one of the first to provide a swimming pool for apartments as in the case of its RM95,000 apartments in Bandar Sunway in 1990. 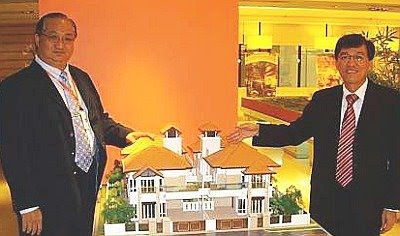 Ho Hon Sang (left) and Michael Lee with a model of the Villa Manja semi-detached homes. SunCity takes great pride in its show houses and is among the best in the market. This is evident in its show houses at Sunway Kayangan, D'Villa Bungalows @ Kota Damansara and the more recent ones at Villa Manja at Sunway SPK Damansara. Over the years, the group has won numerous prestigious awards, including the Superbrands Malaysia Award 2005-2006, The Edge Malaysia Top Property Developers Awards 2003-2007, and Euromoney Real Estate Award 2006 Top 3 Property Developers in Malaysia. It also secured the MS ISO 9001: 2000 Quality Management System certification and was ranked sixth in the Hewitt-Fortune-RBL Top Companies For Leaders 2007 - Asia Pacific. 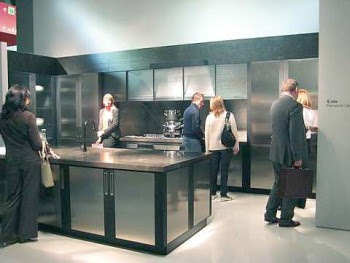 The group is also known for setting new benchmarks not only in quality, stylish designs but also in pricing. It is one of the few developers that ventured into the very high-end market like its 77 units of Bayrocks garden waterfront villas at the RM3.7bil Sunway South Quay (formerly Sunway Science City) whose prices start from RM4.53mil to RM6.2mil! The Sunway South Quay, one of the two big former ex-mining lakes in Bandar Sunway (the first lake had been transformed into the Sunway Lagoon Resort more than 15 years ago), is set to be a long-term money-spinner for SunCity. SunCity has several high-end projects in the exclusive Mont'Kiara/Sri Hartamas neighbourhood in Kuala Lumpur. 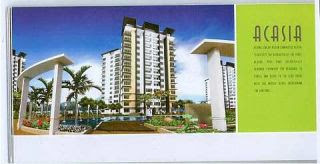 They are the Kiara Hills, Casa Kiara 1, 2 and 3, Palazzio Sunway and the Sunway Vivaldi, launched in April. The Sunway Vivaldi at Mont'Kiara comprises of 228 freehold condominium units priced from RM2.6mil to RM6.3mil. The units boast spacious floor layout of up to 4,000 sq ft. Features include a private lift lobby, cascading and meandering water features, Olympic-length swimming pool and a multi-level central eco-park. Perhaps the most iconic of all is its Palazzio Sunway luxury condominiums in Sri Hartamas where the 160 units in two 20-storey blocks were initially priced from RM850 per sq ft. The group's latest project is the RM400mil Villa Manja @ Sunway SPK Damansara that is being developed by Sunway SPK Homes Sdn Bhd, a joint venture between Sunway City Bhd and Syarikat Permodalan Kebangsaan Bhd (SPK). This gated community with security guard house offers only 196 freehold semi-detached homes with a “bungalow-like” design, wide and open spaces, and a green park. Access to this 33-acre residential enclave is via a single entry and exit point, providing further exclusivity and security for residents. Prices of the Twin Villas start from RM1.97mil each with built-up areas from 3,948 sq ft (45ft x 90ft). There are six bedrooms with five attached bathrooms. The porch can park four cars. SunCity chief operating officer Ho Hon Sang said about 80% of the 100 units launched last August had been sold. “We're now opening for sale the balance of the 96 units. This is a single-product development with a low density of only six units per acre. There are no T-junctions and all the houses are placed in a north-south direction,” he said. The homes come with many extras, including nine units of energy efficient and eco-friendly air-conditioners, security alarm, automatic gate, motion detector light, solar water heater, water booster pump, whirlpool system bathtub for master bedroom, shower screens to all bathrooms (except maid's bath), glass balustrade at staircase and balcony, anti-subterranean termite treatment, and five-year warranty for external painting. SunCity senior manager (marketing and sales) Michael Lee said all four show houses had been sold. 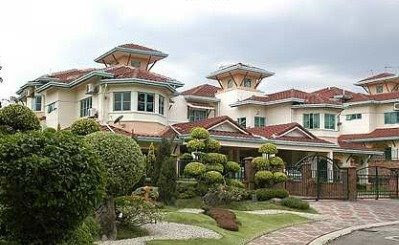 Two of them that are furnished have been sold for RM3.1mil and RM2.7mil. An aerial view of Bandar Tasik Puteri in Rawang. KLANG Valley's northern corridor, which is still relatively untapped compared with the rapidly developing central and southern corridors, is ripe for more exciting changes and progress, going forward. The availability of vast land bank and improved infrastructure connectivity have attracted quite a number of developers, including Sime Darby Property Bhd (formerly Guthrie Property Development Holding Bhd), Asia Pacific Land Bhd, KL-Kepong Property Holdings Sdn Bhd (KLK Property) and GuocoLand (M) Bhd (formerly Hong Leong Properties Bhd). More innovative residential and commercial products that are in the pipeline, including gated residences and lifestyle retail projects, will further spruce up the corridor's landscape. 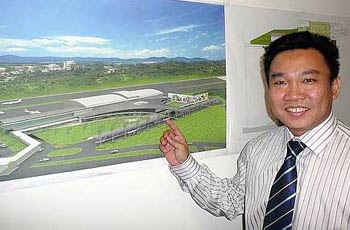 According to Ho Chin Soon Research Sdn Bhd director Ho Chin Soon, the research company's Locational Centre of Gravity showed there was good growth potential for the various locations in the northern corridor including Selayang, Rawang, Sungei Buloh, Kuang, Guthrie Corridor and Shah Alam North. “There are large tracts of freehold plantation land in the northern corridor. Besides the Sime Darby group, we have private landowners like Kuala Lumpur Kepong (KLK) group that have sufficient land for development for many, many years to come,” he said. “Land prices have not escalated much but we can possibly say there's a 5% per annum increase in values over the last few years. “Land nearer to the urban areas is priced RM20 to RM25 per sq ft while those in the outskirts is between RM10 and RM15 per sq ft,” Ho said. Developers are eager to see the implementation of proposed highways, including the Assam-Jawa Latar Expressway linking Rawang to Kuala Selangor and Port Klang and the West Coast Highway that will further enhance the potential of the northern corridor. The completion of the 25km Guthrie Corridor Expressway (GCE) that stretches from Bukit Jelutong to Kuang, near Rawang, in 2004 had contributed to the opening up of the northern and western parts of the Klang Valley. According to Asia Pacific Land Bhd (AP Land) joint managing director Low Su Ming, there has been notable development in the northern corridor in the past decade although the pace was relatively slower compared with the southern and central corridors. “With escalating property prices in other parts of the Klang Valley, demand has begun radiating to the north, including Sungai Buloh and Rawang. “However, there is still a big gap in the prices of properties located here from those in the more developed and sought after areas in the Klang Valley,” Low said. KL-Kepong Property Development Sdn Bhd (KLK Property) general manager Lim Peng Hong said the GCE and the North-South Expressway had contributed substantially to the success of the various townships in the northern corridor. This include Sime Darby's Bukit Jelutong, KLK's Desa Coalfields in Sungei Buloh, AP Land's Bandar Tasik Puteri and GuocoLand's Emerald Rawang in Rawang. The setting up of educational institutions such as Universiti Selangor, Universiti Teknologi Mara II and the new Sungai Buloh Diagnostic Hospital has also attracted property players and investors to the area. “Property projects located within the boundaries of the northern corridor will do well as the scarcity of development land in the Klang Valley and Kuala Lumpur has created the need to build further from the city,” Lim said. He said escalating costs of construction and scarcity of land, especially in mature areas within the Klang Valley, had contributed to marked increase in property prices of projects with modern living concepts, good facilities and environment. “The prices of residential properties in the more exclusive addresses in the Klang Valley had made it almost impossible for the average wage earners to acquire them, and they are looking at projects in locations further away from the city. “With properly planned infrastructure and amenities, projects in the northern corridor will prove to be the next best alternative for many average wage earners,” Lim said. Although there is still a lot of land available – be it government or privately held, location and accessibility are major considerations that affect the marketability of the projects. APL's Low said that as land in the central and southern corridors of the Klang Valley was scarce, the price of land in those areas was currently at record highs. “The lower entry cost of land in the northern corridor is a definite plus. There is certainly potential in the longer term. She said although places like Rawang and Sungai Buloh had grown substantially, the public transportation system was still lagging and further improvements to the infrastructure network would certainly provide a new growth catalyst for the northern corridor. “Infrastructure projects, such as the Government’s planned upgrading of certain trunk roads leading into Rawang town and electrified railways under the Ninth Malaysia Plan, will certainly open up more development opportunities and better growth prospects in this corridor,” Low said.